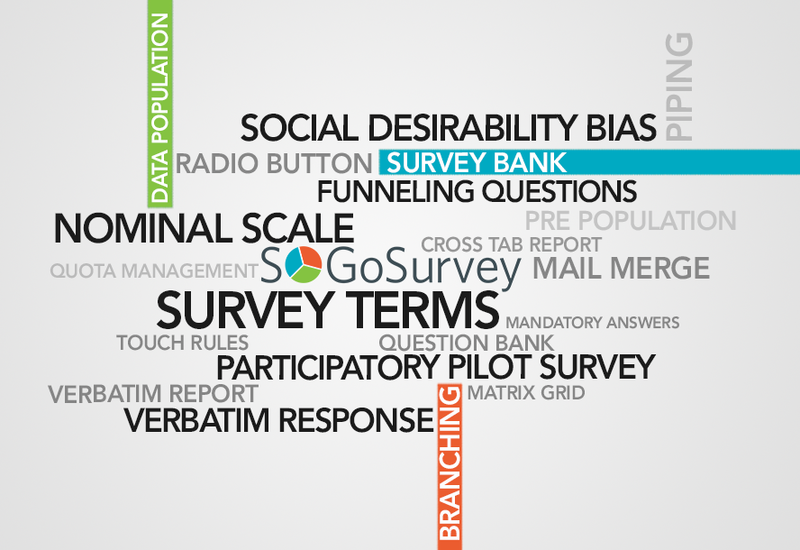 There’s so much jargon in the world of survey that it’s easy to get lost in the sea of survey-related terms. Verbatim response is just another name for open-ended response option. A scale that classifies answer choices into mutually-exclusive categories of quantitative values is called a nominal scale/label. This is a common tendency projected by survey participants to provide socially-acceptable, however, inaccurate answers. Funneling Questions involve a series of generic questions that gradually lead to a specific question. They are used to gain participants’ interest or increase their confidence. On the other hand, Inverted Funneling Questions begin with specific questions and move on to more generic ones. A survey sent to inform participants that they are a part of a pre-test phase is known as a participatory pilot. It also collects the participants’ thoughts on the questionnaire.